For 5 months beginning November 2015, I am hosting a guided baking session on the Facebook foodie group called Chef At Large. 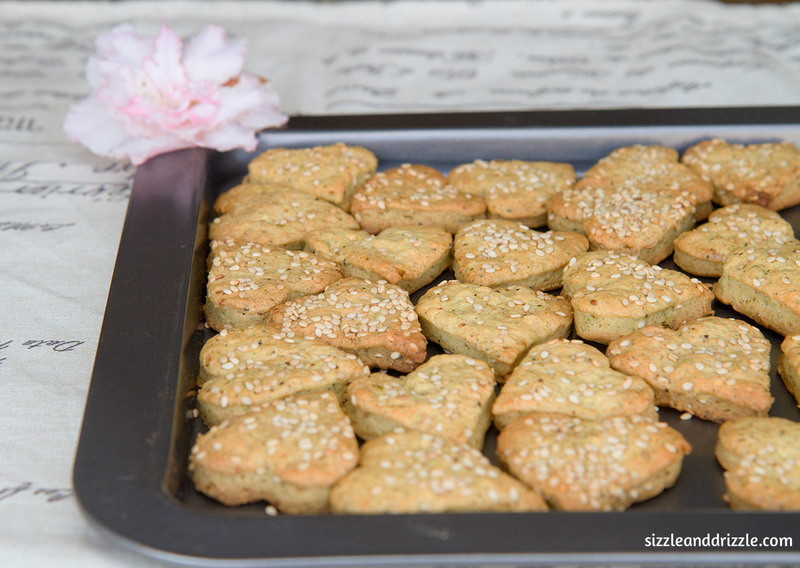 The aim is to present baking recipes as simply as possible with the most commonly available ingredients, so it is easier for people to take that step into baking. While testing recipes and documenting it so that everyone understands, I have learnt so much myself. 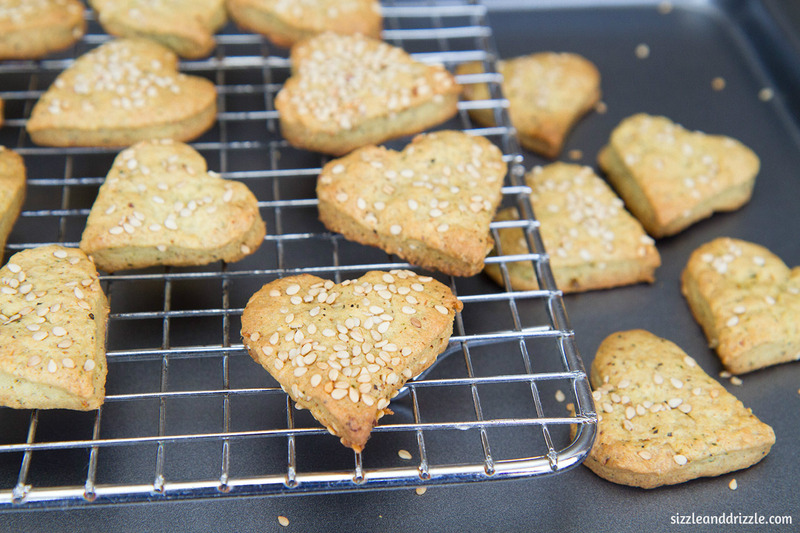 And when people respond with pictures and feedback of something they made following this recipe, it feels quite good. I hope I am doing justice to the initiative by offering as much as I know. This eggless chocolate cake is for the month of November. With loads of pictures showing each step. Let me know what you think. In a big mixing bowl, take softened (but not melted) Amul butter. Add sugar to it and whisk. Then to this add the condensed milk and whole milk and whisk well. Let it form a smooth mixture. In a separate bowl, take flour +baking soda + baking powder and first mix it with a spoon to distribute baking soda and powder throughout the flour. Then sift this once through a regular kitchen sieve. Melt the chopped chocolate over a double boiler or in a microwave in 30 second intervals, whisking well at each interval. Now, to the butter mixture add the melted chocolate and whisk well till fully incorporated. Then add the grated ginger or orange zest and orange or apple juice and mix. Remove the whisk. Now with a rubber spatula, fold in the dry ingredients in two batches. Always move the spatula in one direction and the bowl in the other while folding. Me being right-handed, move the spatula from right to left with the right hand and the bowl from left to right with the left hand. Now pre-heat the oven to 180 C for 10 minutes and meanwhile prepare your pan. Lightly butter and line your 6-8 inch baking pan with parchment paper at the bottom as well as the sides. Alternately you can line the bottom with a parchment paper and grease and flour the sides. Now bake the cake in the preheated oven for 20-25 minutes. Insert a skewer or a knife in the cake to check if it’s done. Take it out and let it cool completely on a wire rack. There are several ways of making 2 layers of a cake. But the one I prefer the most is this desi jugaad style. For it, all you need is a steel plate, which has a side and covers about half the height of the cake and you also need a knife with serrated edges. Once the cake is completely cool, place it in the plate and taking that as an aid, cut the cake horizontally into two. Be careful to have your knife touching the edge of the steel plate at all times so that you get an even cut. Once cut from all sides, take a cake board or a simple cardboard will do and slide it between the two layers of the cake and separate them. Now use the frosting or the ganache recipe and frost the cake or decorate it as you like. Decorate the cake with a chocolate ganache and/or buttercream. I have used the buttercream to sandwich between the cakes and frost the sides and ganache for decoration. Last Sunday, husband and I were sitting in Kala Ghoda Cafe, having their most delicious rösti and hot chocolate, when a group of girls and boys occupied the adjacent table. They were perhaps 3-4 years younger than us, but in an entirely different zone of life. They were chatting, laughing, constantly getting up to take selfies and creating a hullabaloo in the tiny little cafe. While I was clumsily sitting with my 30 week pregnant belly and thinking out aloud ‘We will never be this wild and free again’. The husband heard it and was alarmed at why was I suddenly feeling this feeling of being trapped. I saw the worried look on his face and assured him how I am fine, and I so want the baby and how it is the correct thing to do and the next stage of life and so on. Just a day back, at our pregnancy and lamaze class, Fit for Birth, the counsellor had advised us to be on a lookout for pregnancy and postpartum blues. Although I have never been capable of having the dramatized versions of “blues”, I knew I was in that zone. Now my subconscious knows how badly I want this baby and the two-three months that it took us to get pregnant, I would cry like a baby when I got my periods. But still, now it feels like I have been pregnant forever. It is awesome, let me tell you, this whole thing of making a baby inside me, it makes me feel almost God-like. I am making kidneys, brain, lungs, heart, arms, legs, eyes; you name it, I am making it. So that part is amazing. But it is taking a toll on my senses. There is a constant feeling of tiredness, fatigue, acidity, it feels as if my body is burning at times and uninterrupted sound sleep at night hasn’t been granted in a long long time. When I look in the mirror I can see a lumpy body, lack-lustre hair, mildly puffy eyes and pimpled cheeks. We haven’t been able to get out of the city in the last 3-4 months and it looks difficult for at least another 5-6 months.I long for that Pineapple daiquiri with strong white rum, and a puff of the clove cigarette Gudang Garam I love and indulge myself in once every two months or so. Strangely, most of my dresses still fit me, with a stretch over the belly, but it makes me wonder what kind of clothes did I wear pre-pregnancy? (Mental note : I need to re-look at my dressing style once back in shape). And thankfully all my medical stats are on track, so I can manage to do most of my daily stuff uninterrupted, albeit with less energy. But the sheer willpower required to get out of bed every morning, make breakfast, get dressed, go to work, attend pregnancy exercise classes in the evening and stay awake till at least 9.30 pm is exhausting. I long to be me, the one with a zillion times more enthusiasm than now. When my best friend was pregnant and in her last trimester a couple of months back, I remember her telling me how she too was bored. At that time, I thought, ‘Oh, how could you be bored of this miracle?’. But I hear ye now, and I know exactly how it feels. On the other hand, or may be on the same lines, I am desperate to see my baby now. I want to hold him/ her in my arms, look at that little face and see how it’s little hands hold on to my finger. But yeah, no sooner than full term. I was born about 6 weeks premature, and my momma had a rough six months nursing me to health. So I better wait and carry the baby in my womb to meetings and movies, and not eject it prematurely. Perhaps once my mom-in-law is back from the US in 15 days, I would feel relief. Relief from the responsibility of running the house, freedom from worrying if the maid will show up, not being in charge of shopping for groceries and having someone experienced to talk to in the middle of the night if the baby is aggressively kicking. Well, till then, its time to enjoy the different shades of blue. Meanwhile these gorgeous beauties are in the market. 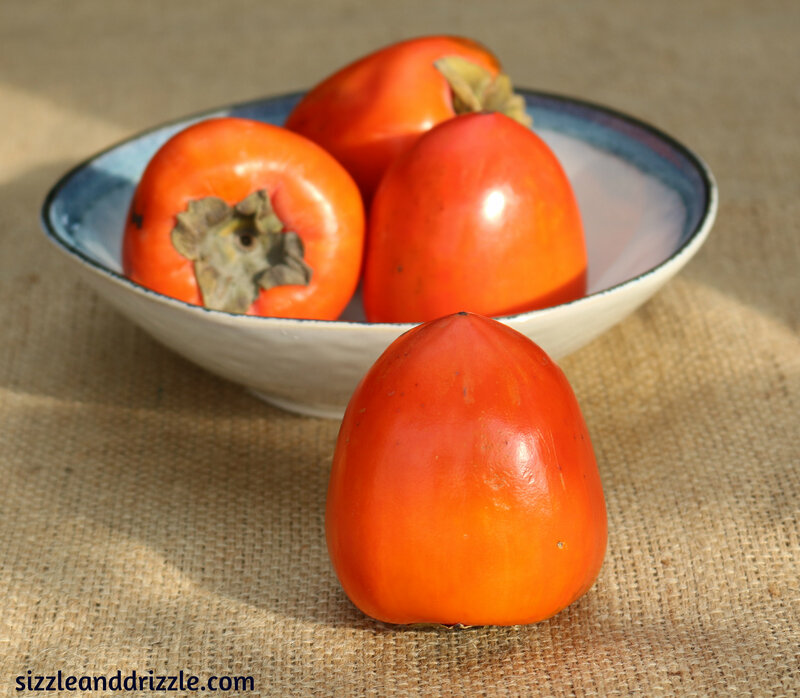 Hachiya Persimmons or Amar-phal, they are exotically delicious once fully ripe, but cut them a day earlier and you will be shocked at their astringence. This fruit can be beautifully pureed. Just unplug the green head, cut it into four pieces and puree it in a mixer. Thats it. With the skin. 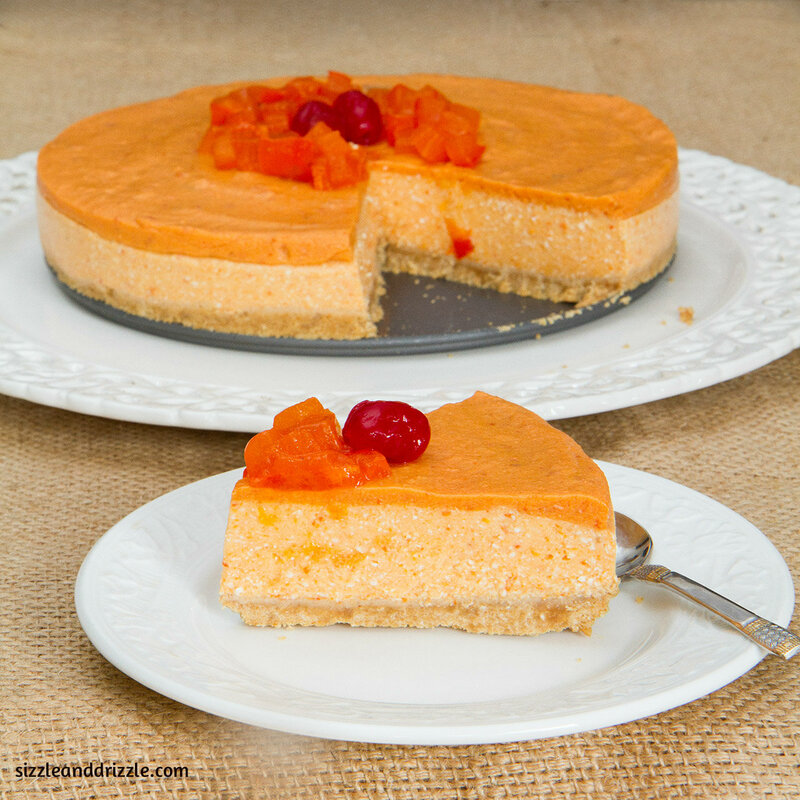 I made a no-bake low calorie cheesecake with these beauties and it looked gorgeous! Hang 700 gms curd so that the water drains. Roughly it will reduce to half the volume.Take 300 gm of such hung curd. Break digestive biscuits into a crumbly powder . Soften the butter and mix it with the crumbs to form an even paste. Then cover the bottom of a 10 inch springform pan with it and press down really hard. Refrigerate for an hour till it sets. Combine the grated hung curd and grated paneer. Add powdered sugar. Add 1 tsp vanilla extract and mix well to remove all clumps. Set aside. Add 4 tsp gelatin in 1 cup water and keep aside. This process is called blooming. Prepare a double boiler. Essentially a large utensil to boil water and a smaller utensil which can be placed within. Heat the gelatin-water mix in this double broiler. Do not let it boil. Boiling destroys the thickening capacity of gelatin. Heat the persimmon puree in a separate bowl. Then add the heated gelatin with the persimmon pure, and take it off heat. Lightly mix the persimmon and gelatin mixture with the hung curd and paneer mixture, till fully incorporated. 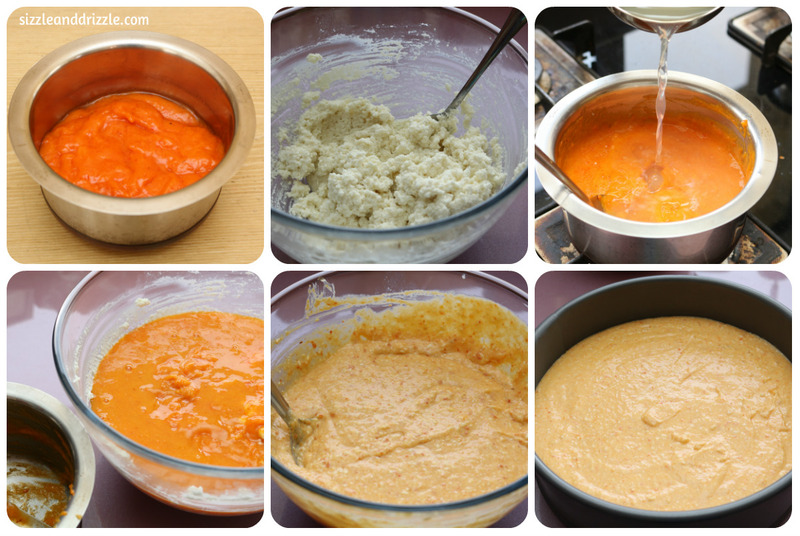 Make a puree with 1 persimmon. Put on gentle heat. Bloom 1 tsp gelatin in ½ cup water and heat over double broiler as earlier. Add to persimmon puree. Mix well. Pour over the chilled cheesecake. 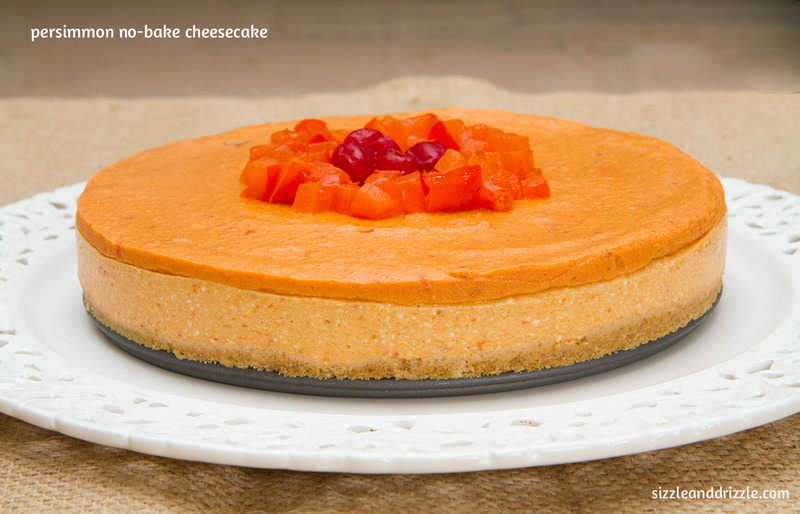 Chill the cheesecake again for an hour, un-mould and serve! This is not a very sweet dessert. But the mild tartness of the fruit goes very well with the hung curd and paneer to produce a delicate light dessert. 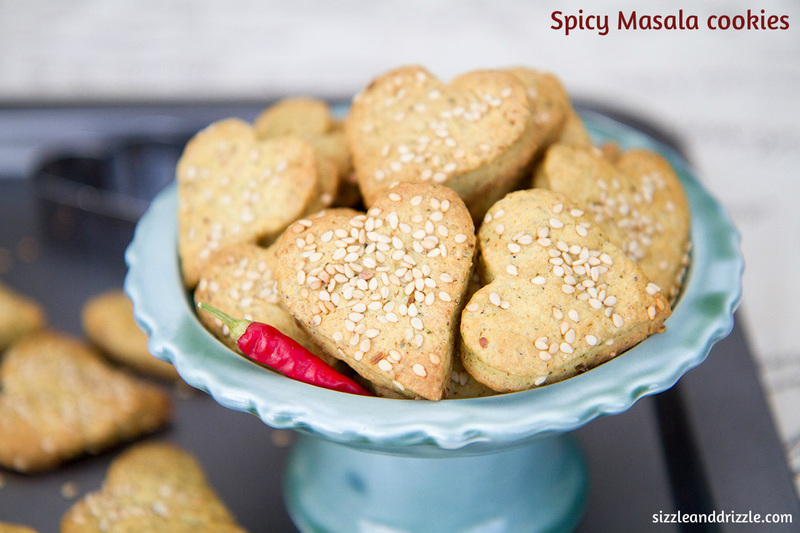 You can add some cinnamon and honey to with the paneer and hung curd to give it a spicy autumn feeling.